You can choose a user whose context should be used to execute the action here. 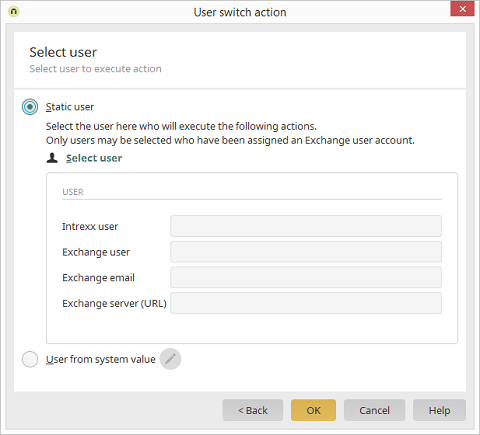 The user must be assigned to an exchange account. Further information on this dialog can be found here.